Overland Park’s Nerman Museum of Contemporary Art, the Bloch Building at the Nelson-Atkins Museum and the continuing growth of art districts all across the metro lead to the viable and vibrant art scene that is being recognized around the world. Whether you prefer your art classical, contemporary or somewhere in between, you will find it flourishing in Kansas City. There is something for everyone and best of all, the majority of the art attractions are free. Of course, if one of the following museums does not whet your appetite, there are plenty of other museums and galleries to explore. 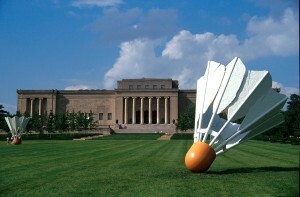 The Nelson-Atkins Museum of Art, located just off the Country Club Plaza, is one of the country’s preeminent arts and cultural destinations. The museum is world-renowned for both its Asian collection and the new Bloch Building, which Time named the No. 1 Architectural Marvel of 2007. The original building features masterworks from both Ancient and American artists, while inside the Bloch Building visitors can explore contemporary art, photography, African art and special exhibits. 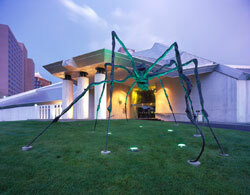 Stay for lunch in the beautiful Rozzelle Court Restaurant or wander around the 22-acre Sculpture Park. Entrance to the museum is free although special exhibitions may require tickets. The Kemper Museum of Contemporary Art, located near the Nelson-Atkins Museum and world-renowned shopping on the Country Club Plaza, is an attraction not to be missed. The museum is free and includes a four-star cafe offering an art-infused setting and celebrating innovative cuisine. In an effort to expand accessibility to its modern and contemporary collections, the museum opened a satellite gallery in Kansas City’s growing Crossroads Art District, one of the largest enclaves of art galleries in the nation. St. Joseph (MO) is not just known as the location of the first Pony Express ride or the last stand of Jesse James; it is also home to one of the finest collections of American Art in the Midwest. The Albrecht-Kemper Museum of Art owns more than 3,000 pieces of art, including spectacular collections of 18th-, 19th-, and 20th-century American art. Through special exhibitions, educational programs, performance events and publications, the Albrecht-Kemper serves as a cultural arts center for Northwest Missouri. The museum also houses a 2,500- piece library collection, a café and a gift shop. Located in Overland Park on the campus of Johnson County Community College (JCCC), the Nerman Museum of Contemporary Art was recently named one of the 50 Reasons to Love the U.S.A. by Travel+Leisure Magazine. 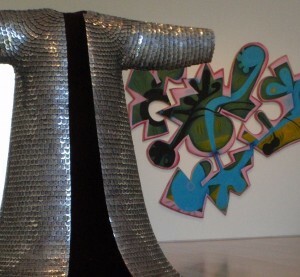 The Nerman is the largest contemporary art museum in the four-state region and has made a name for itself since its opening in late 2007. Art can be found beyond the Nerman Museum throughout the entire campus of JCCC. The college’s focus has been making art a part of people’s daily lives and with hundreds of pieces in multiple focus areas, it has succeeded. In 2006, Public Art Review named JCCC as one of the top 10 university/college campuses for public art in America. See page 52 for more information. The Spencer Museum of Art explores the capacity of art to spark curiosity, inspire creativity and create connections among people. The Museum, located on the University of Kansas campus in Lawrence, houses an internationally-known collection currently numbering nearly 36,000 artworks and artifacts in all media. The collection spans the history of European and American art from ancient to contemporary, and includes broad and significant holdings of East Asian art and KU’s ethnographic collection, which includes around 10,000 Native American, African, Latin American and Australian works. The museum is free, but donations are accepted.